Kentucky Legend is partnering with Puzzle Pieces in hosting the 1st ever Owensboro Lip Sync Battle fundraiser. This exciting event is modeled after Spike TV’s hit show, “Lip Sync Battle” and the Tonight Show host, Jimmy Fallon’s frequent lip sync challenges. Performers (individuals or teams) select their favorite song and perform their version of it. 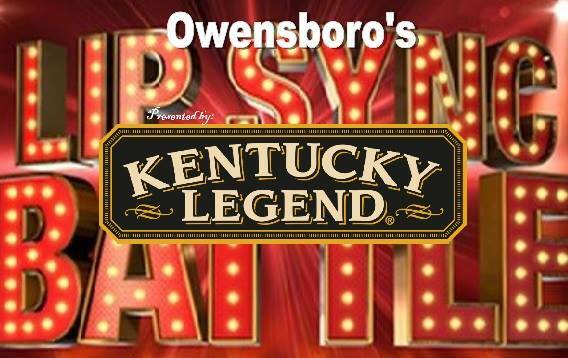 Owensboro’s Lip Sync Battle will premiere 10 local businesses battling for the bragging rights of the best! We will have 5 battles that night and a winner will be crowned in each battle. OH WAIT!!! Did we mention there will be an additional WILD CARD Community Member battle to make an exciting 6 battling performances? Attendees will be entertained the entire night with Epic Lip Sync Performances that will have you dancing, laughing, and crying! You will not want to miss this event. General Admission Tickets: $30. You purchase through Eventbrite link to secure your ticket. This ticket will give you access to standing room only at bar top tables, that will be randomly placed throughout the event. You will be able to enjoy the entertainment, support a great cause, while enjoying the closest access to cash bar! ​Reserved 10 Top Table: $375. You must use the email contact below to secure a Reserved Table, and do not purchase the tickets online (nor any of your 10 guests). Reserving a table is only to ensure your friends/family are all together at the same table for the night of entertainment! These tables will be placed around the room to maximize your experience! VIP FRONT ROW Table: $500. VIP “In It to Win It: Table: $400. VIP table guests will be the only guests allowed to attend a special VIP Social Hour, starting from 6:30-7:30. This hour will allow you to enjoy refreshments provided by Kentucky Legend, a Meet and Greet with clients of Puzzle Pieces, early access to your table and first in line to the cash bar! All table reservations/purchases must be secured by contacting: amanda.owen@puzzle-pieces.org.